The European Commission has approved tisagenlecleucel (Kymriah) for the treatment of either adult patients with diffuse large B-cell lymphoma (DLBCL) that is relapsed or refractory after 2 or more lines of systemic therapy, or patients up to 25 years of age with B-cell acute lymphoblastic leukemia (ALL) that is refractory, in relapse posttransplant, or in second or later relapse, according to Novartis, the manufacturer of the CAR T-cell therapy. The approval in DLBCL was based on data from the phase II JULIET study. Updated data from the trial presented at the 2018 European Hematology Association (EHA) Congress showed that at a median follow-up of 14.1 months, tisagenlecleucel achieved an objective response rate (ORR) of 52% (95% CI, 41-62) in adult patients with relapsed/refractory DLBCL.1 The ORR included a complete response (CR) rate of 40% and a partial response (PR) rate of 12%. This response was durable, as the duration of response had not been reached at data cutoff. These response rates were consistent across all subgroups, including patients receiving prior allogeneic stem cell transplantation, and in patients having double-hit lymphoma. Additionally, the 12-month relapse-free survival (RFS) rate in patients with a CR was 78.5% (95% CI, 60%-89%) and the 12-month RFS rate in all responders was 65% (95% CI, 49%-78%). No patients proceeded to transplant while in response. In an analysis of 75 infused patients with 3 or more months of follow-up, 60% of patients achieved CR and 21% of patients achieved CR with incomplete blood count recovery following tisagenlecleucel infusion. By day 28, investigators detected no minimal residual disease among responding patients. 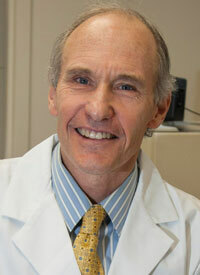 "When the University of Pennsylvania and Novartis agreed to work together to develop CAR-T therapy, our main goal was clear and ambitious to address unmet needs for patients and to extend, improve and save lives," Carl June, MD, the Richard W. Vague Professor in Immunotherapy in the Department of Pathology and Laboratory Medicine at Penn and Director of the Center for Cellular Immunotherapies in the Abramson Cancer Center, said in a statement. "We are proud that our efforts in CAR-T now offer the European blood cancer community a breakthrough that brings new hope." At the EHA Congress, Peter Borchmann, MD, of the Department of Internal Medicine, University Hospital of Cologne in Cologne, Germany, discussed long-term results from the JULIET trial that were updated after an additional 8 months of follow-up since the last presentation of JULIET results at the 2017 ASH conference in December. JULIET is single-arm open-label global phase II trial (NCT02445248) of tisagenlecleucel in adult patients with relapse/refractory DLBCL, who were ineligible for or had failed autologous stem cell transplant (ASCT). Of the 165 adult patients enrolled in JULIET, 111 patients were infused with a single dose of tisagenlecleucel (median, 3.0×108cells [range, 0.1-6.0×108 cells]). 92% of patients received bridging therapy and 93% received lymphodepleting chemotherapy. Median follow-up from infusion to data cutoff was 14 months with a maximum follow-up of 23 months. Median age of the patients was 56 years (range, 22-76). Nearly a quarter (23%) of patients were older than 65. Centrally manufactured CAR T cells were provided using cryopreserved apheresis and a global supply chain. The primary endpoint of JULIET was best ORR (CR + PR) per independent review committee. Efficacy results were reported for 93 patients in the main cohort having at least 3 months’ follow-up or earlier discontinuation and the safety cohort included all 111 infused patients. The median overall survival (OS) among all infused patients was 11.7 months (95% CI, 6.6-NE), with a 12-month OS rate of 49%. Median OS was not reached for patients in CR (95% CI, 17.9-NE), and the 12-month OS rate was 95% for these patients. The response status at 3 months indicated durable clinical benefit; the estimated progression-free survival rate at 12 months was 83% for patients with CR or PR at 3 months.